What better time to get a batch of sourdough starter and start a tradition_ Saturday morning biscuits from the dutch oven. Where would you get the best starter? I haven't been camping in several years because other things on my schedule taking priority, so I haven't looked at trying to buy white fuel in a long time. Maybe the great state of CA has banned that too. I remember in the late '60s when I worked for the Natl. Park Service, I'd have to tend to campers who burned themselves with their stoves and lanterns on a regular basis. If it is banned, I guess it's another example of the great state of CA saving us from ourselves again. Years ago at the Pomona swap meet, I bought a brand new, early '50s Coleman 2-burner in the original box. I'm keeping it unused - don't know why, but it seems appropriate. I much prefer the white gas models over the bottle fed ones. fred meyer has the propane 2burner @$50 white gas 2burner @$75. simular prices at most camping and hardware stores too. Possession of a gas lantern with intent to use is the only capital crime we have in kalifornia anymore. Location: *%@#ing GPS, where am I? Oh wait I see the Space Needle. Don't know about the idiots at CARB, but I think white gas was banned by the National (or CA State?) Parks some time ago. "* Portable camp stoves and lanterns which use white gas, kerosene, compressed gas, or similar fuels, and sheepherder-type stoves with spark arrester screens, may be used at picnic areas, developed campgrounds, and in the backcountry." '73 914 2.0L SOLD bye bye "lil SMOKEY"
White gas has not been banned, you can buy it at Lowe's (and any better hardware/home improvement store), under it's proper name....Naphtha. Yup, white gas and naphtha are the same thing. It is available for sale here, but I am pretty sure we have been banned from using it in some CA locations. Been a while though. I just added another item to the camping gear collection. I grew up 50 miles south of Chicago and we had a state park near where I lived and a river goes through our town past the state park. I spent a lot of time canoeing and always loved it. Now living in Arizona, there are a few lakes within 2 hours from my home and always wanted a canoe. 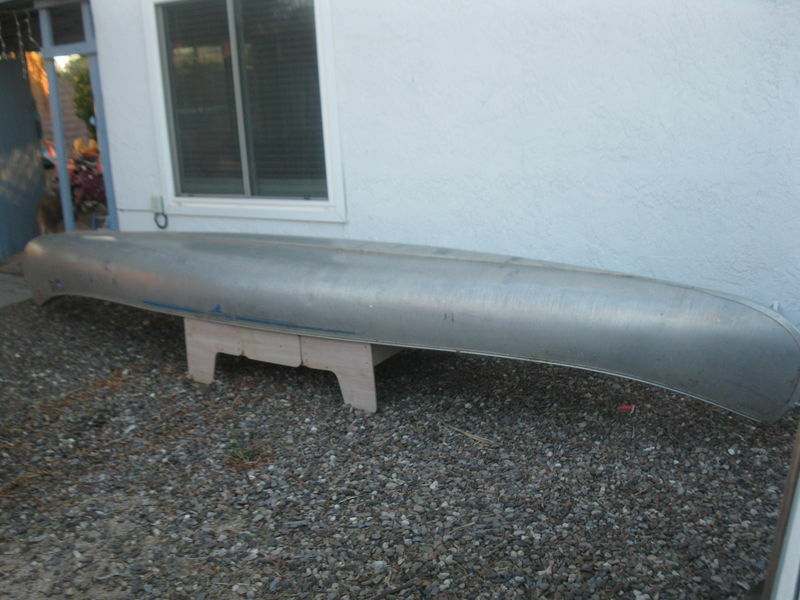 A coworker has a canoe that I have been wanting to buy for the past 2 years. He came up to me 2 weeks ago and said he was taking the week off between Christmas and New Years and he wanted to give the canoe to me as a gift from his family to mine and I could pick it up when he returned from his vacation. I don't know what happened to my computer when I posted about the canoe but it shows teenerted1 as the author of the post when it is in fact Arizona 911 that posted this. I apologize and wanted to clear this up. Very weird post you've got there. Hey, if you want good info on how to season that Dutch oven, this looks like a top notch article.